Michael Cox has been in the wine business for twenty hears, the last twelve of which as winemaker at Schug Winery in Carneros. He is a University of California at Davis graduate in enology and viticulture with success in working with multiple varietals, but his professed passion is Pinot Noir. 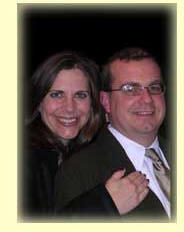 His wife, Tina, is a wine veteran, as well, having worked in marketing at Robert Mondavi. Together, they started Mayro- Murdick Wines. The name Mayro-Murdick comes from the distinctive first names of their paternal grandfathers. Michael and Tina realized back in 2002 that many wine drinkers needed a go-to decent Pinot Noir that was affordable enough to serve as a daily drinker. Michael’s inspiration came from Europe where many gems can be found around the $15 price point. Pinot Noirs that retail for under $20 lack some of the complexity and subtle nuances that make more expensive Pinot Noir so alluring, but good examples can make for fine drinking with meals. The problem has been that it is easy to find Pinot Noir for under $20, but it is difficult to find GOOD Pinot Noir in that price range. In 2002, Michael was searching for a source of grapes to reach his goal. He was driving around the Santa Lucia Highlands and found a thirty-year old vineyard planted on its own rootstock to the Gamay clone of Pinot Noir , a grape descended from Pinot Noir and Gouais. In the late 19th and early 20th century, there were a number of different “Pinot Noir” selections brought into California. Some of these vines were true Pinot Noir (pinot tordu), but others had a more vertical growth pattern (pinot droit or “upright pinot”) and were called Gamay. The Gamay vines were also known as Napa Gamay as nearly all of the plantings were in the Napa Valley. Once Michael found the source, he drew on his knowledge of wine production practiced in southern Burgundy, where winemakers age their wines in large casks while introducing miniscule amounts of oxygen (micro-oxidation), to soften and mature the wine. In a similar way, micro-oxidation (micro-oxygenation, “microx”) mimics the reactions with oxygen encouraged by barrel aging. Fermentation was carried out in stainless steel tanks with pump overs two times daily. The result is a very fruity wine expressive of the true varietal character of Pinot Noir. Michael also produces a Pinot Noir from the Iund Vineyard (20-year-old vines) in Carneros vinified in a more traditional manner for Pinot Noir. 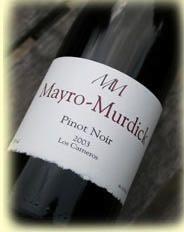 This Mayro-Murdick Carneros Pinot Noir is aged for 14 months in 34% new French oak. 13.5% alc., 2756 cases, $15. The name comes from Hunterdon County, New Jersey, where the Cox family traces their roots to 1695. · The aromatics feature ripe strawberries, cherries, lavender and hay. The strawberry theme dominates the flavor profile. Very easy to drink, this wine is elegant in style and finishes clean with ample acidity. A thoroughly enjoyable wine that I like to call “Strawberry Fields Forever.” This is a step above the many ordinary commercial wines at this price point. 13.5% alc., 484 cases, $35. · This wine is a cherry serenade. Ripe cherries, strawberries and toast on the sensuous nose and herb-tinged cherries in the mouth. Nicely composed and perfectly fine, this is a nice gift from Carneros. Mayro-Murdick Wines are distributed in 25 states and are available on the website at www.mayromurdick.com. Tina Cox handles marketing, sales, and distribution and contact her for questions or guidance in acquiring the wines (707-996-3023). According to a recent Wine & Spirits (April, 2007) poll, Pinot Noir is now the second most popular variety in restaurants, surpassing Chardonnay, and second only to Cabernet Sauvignon. In 1996, Pinot Noir sales made up 5% of the top-selling wines; in 2006, Pinot Noir accounted for 15% of sales of topselling wines. The average price for restaurant Pinot Noir from America was $64.20, from France $95.52, and from New Zealand $59.37. For the third year in a row, Merry Edwards was the most popular restaurant Pinot Noir. The remainder of the top ten were La Crema, Flowers, David Bruce and Rex Hill Vineyards, Saintsbury, Argyle, Au Bon Climat, Bethel Heights Vineyard, and A to Z. The top Pinot Noirs by the glass with average prices were Castle Rock Monterey ($8.53), Kenwood Russian River Valley ($9.64), Estancia Estates Monterey ($9.17), and Chalone Vineyard ($9.75). Andy notes that he has been a “Cab/Merlot guy” by nature ( he produces Cabernet Sauvignon and Merlot under the Carini label). He moved his winery to Hayfork in 2003. Soon after, he met Bruce Gnad, the owner and farmer of this vineyard. Andy was intrigued about making wine from this vineyard, but the fact that it was planted to Pinot Noir held him back. In 2004, the buyer for the fruit bailed out at the last minute, leaving Bruce few options. Andy ended up with the fruit. “I was forced to deal with my negative feelings about Pinot Noir. Considering how nice the fruit was, it didn’t end up being as difficult a task as I thought.” Andy thought this would be a one-time shot, but it has evolved into much more. Beginning in the spring of 2005, Andy began working directly with Bruce in the vineyard to refine and improve the farming. Yields were cut in half by careful fruit thinning at three different stages in the growing season. The canopies were managed to give better exposure, and picking was delayed to obtain optimal ripeness. As a result, Andy feels the 2005 and 2006 vintages are far superior to the 2004 vintage and offer only glimpses of the real potential of this vineyard and resulting wine. Andy’s winemaking style emphasizes as little manipulation as possible. The only additions to the wine are yeast and minimal sulfur dioxide. There is no watering down, acidification, spinning cone, copper, color boosters, fining, or filtration. The wine is a true representation of its place of origin and the vintage. 90% of the grapes are de-stemmed followed by a cold maceration. After inoculation, the fermentations last between 10-14 days in small 200 gallon open top fermentors. Multiple daily punch downs are followed by pressing directly to 100% French oak. Typically, aging is for 18 months and the wine is bottled directly off its gross lees. 15.25% alc., 500 cases, $45. (Barrel sample) · This wine has a little more stuffing and is even more polished than the 2004. Again, the balance is impeccable. It is still young and not giving all it has. This will improve considerably with time. 14.5% alc., 300 cases, $33 · The aromatics exhibit shy but fine red and dark fruits with a hint of spice. Sumptuous spiced cherry, plum and oak flavors are in harmony and enticing. From start to finish, this is a very clean and balanced wine. Not terribly complex, and nothing hair-raising, but thoroughly satisfying. Andy appears to be on to something here. These two wines show deft winemaking and the site appears to be one of great promise. The wines will be available through a mailing list and on the website at www.cariniwine.com (dubakella portion of website should be operational very soon - call or e-mail to inquire). The website will offer significant discounts to the retail prices given above. There will also be limited retail and restaurant distribution beginning in May in California, Las Vegas, New Jersey and New York. The phone is 530-628-5258. Southern Humboldt County in California seems like another very unlikely place to find an accomplished Pinot Noir winegrower and winemaker. 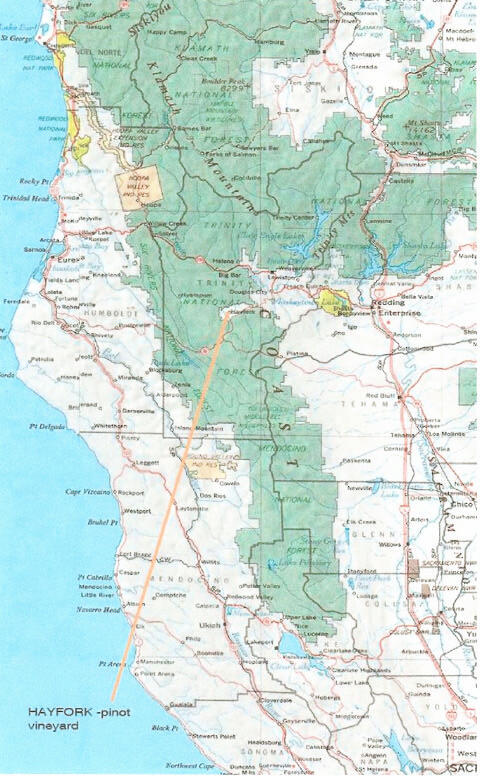 If you check the map on the previous page, you will locate Whitethorn, a small community in the southern-most reaches of Humboldt County (so-called “so-hum”). This is where Tasha McCorkle McKee and her Whitethorn Winery can be found. Tasha was raised in Whitethorn on her great-grandfather’s homestead since the age of 2. She quit high school at age 15, and learned the carpentry business from her father, working with him until she was 20. At a young age, she developed a curiosity about wine, and made wine out of rose petals, elderberries and blackberries. She acquired books on winemaking but did not understand the chemistry involved, so she moved in with her sister who was attending San Francisco City College. Here she worked days and took night classes in chemistry. After seven years, she attended the University of California at Davis and graduated with a degree in fermentation science. Remarkably, she was awarded highest honors, not an easy feat considering she did not graduate from high school. Her first job after schooling was as a cellar hand at Trefethen Vineyards. The winery was reluctant to hire her as she was quite petite and they were uncertain that she could meet the physical demands of the job. That is where her construction work background came in handy, and she proved her worth. Two years later she moved on to Simi Winery, where she was fortunate to work under noted winemaker Zelma Long. Eventually she was promoted to associated winemaker. She was working long hours and commuting 50 miles a day. As she longed to spend more time with her husband and new son, she moved back to Whitethorn to start her own winery. With the assistance of her father and Joe and Maggie Collins of nearby Briceland Winery, she started Whitethorn Winery in a construction yard building. Initially, it was difficult to source grapes. She knew the importance of good fruit, but there was little to be had in southern Humboldt County. There were a few microclimates on the top of ridges that had potential, but in general the climate had too many extremes of hot and cold for successful grape growing. Frost was not unusual in late spring and even summer, and late summer/early fall rains were common. So she looked to Mendocino, Sonoma and Napa counties. At first she had to beg Larry Hyde of Hyde Vineyard in Napa Carneros for grapes. She made her first Hyde Vineyard Pinot Noir in 1991. This wine was an epiphany for Tasha. She says, “I didn’t understand Pinot Noir until I made it myself. It was magical and intriguing and I knew Pinot Noir was the grape I wanted to focus on.” From the beginning, she did not want to produce a stylized blend, so she set about crafting Pinot Noirs that reflected a specific vineyard site. She was adamant that the nature and soul of Pinot Noir be expressed through the wine and not covered up by the winemaking. She produced only 50 cases of that 1991 Hyde Vineyard Pinot Noir. Surprisingly, it was favorably reviewed by the San Francisco Chronicle and snapped up by prominent San Francisco Bay Area restaurants including Rubicon, Masa, Boulevard and the French Laundry.. These restaurants and more became faithful buyers of her wines. What was particularly appealing to the sommeliers was that Whitethorn wines were not released until Tasha considered them ready to drink. She abhorred the mentality of awarding wines high scores for early drink ability. By the time her wines are released (the 2002 Hyde Vineyard Pinot Noir was only recently offered for sale), some customers think the wines are “over-the-hill.” Tasha calls them the “Kool-Aid generation.” The truth is, the Hyde Vineyard Pinot Noir, for example, has generous acidity and superb aging potential. Her wines, in general, do not reach their full potential until they have spent 2-3 years in the bottle. The 2000 vintage of her wines are just now reaching their stride. Once Larry Hyde realized Tasha could produce magnificent Pinot Noir from his vineyard, he offered her 10 tons (she could only handle 5) and allowed her initially to pay the full amount of the grapes in installments as she sold the wine. He went on to plant three acres exclusively for her and she had her first harvest from her block in 1998. This block is planted to Pommard and Calera selections as well as Dijon 115, 667, and 777. In time she also was able to obtain Pinot Noir grapes from the Hirsch Vineyard on the Sonoma Coast. Her 1998 Hirsch Vineyard Pinot Noir was voted one of the top Pinot Noirs of the year in the February, 2002 issue of Wine & Spirits. By 1998, she had increased production of several varietals from multiple vineyard sources to 1,300 cases per year. She likes to be active in her vineyards and is a very caring farmer. Both Larry Hyde and David Hirsch welcome winemakers in their vineyards and thoroughly enjoy the interaction. Tasha avoids overripeness at harvest even though wines made from such grapes often achieve high scores. She is firmly convinced that picking too ripe (and over-oaking) mask the vineyard. For example, with the Hyde Vineyard, she picks at a time where the grapes have appealing red berry and earthy flavors. If left on the vine longer, the grapes develop chocolate notes and become pruney and jammy. Her winemaking is very hands-on and personalized. She performs a number of experiments in 1/2 ton bins using wild yeasts, extended maceration on the skins, and so forth. The small lots are bottled separately and she looks to discover what expresses each individual vineyard best. She uses 40% new oak in general for barrel aging. Some personal and lifestyle issues intervened five years ago, and the last Pinot Noirs she made were the 2002 Hyde Vineyard and 2002 Hirsch Vineyard. The Mattole River upon which her family’s homestead sits began to dry up in 2002. As a child, she fondly remembers swimming and washing clothes in the river which was teaming with salmon. As the flow began to decrease, the salmon disappeared. Faced with a critical and sensitive environmental problem, Tasha volunteered to help restore the Mattole River. At the beginning, everyone said the stream flow project was doomed to failure. Happily, her efforts were successful. She raised more than 1 million dollars to set up adaptation systems so humans could benefit from, and fish could once again survive in the river. The local population is gradually using storage tanks to hold water for domestic use, rather than draining water from the river The flow has improved and the future looks bright. This story is a microcosm of a much bigger water problem that is developing in California. As we fear a coming drought, particularly in the Southwest, Tasha points out that will have to look to improved water storage systems and more conservative and reasonable usage of water supplies. After five years, Tasha is happily resuming her winemaking career. She will once again obtain Pinot Noir fruit from Hyde Vineyard and will also make Pinot Noir from the Demuth Vineyard in Mendocino County. She is sensitive to economic issues and wishes to make wine that most people can afford. To follow this tenant, she has had to drop Hirsch Vineyard because of the high expense of grapes from this cherished vineyard. Her son, now 18, wants to become involved in making wine. He actually helped out when he was very young, and Tasha taught him to taste grapes at age 10. With her parents nearby as well as five of six siblings, she plans a renewed family commitment to Whitethorn Winery. 14.9% alc., $27. · This wine needs a little time to show its charms. The perfume is quite floral and cherry-driven with a hint of alcohol. Dark cherry flavors are at the core, but other tastes come in and out like carob, cassis, and soy. The wine is fat in the mouth with a rich, warm texture. There is plenty of lively acidity for the dining table. Excellent! 15.0% alc., $50. · Give this wine at least an hour to open up. It shows the feminine side of the Hirsch Vineyard. There is remarkable balance here for a wine of 15% alcohol. The tannins are thoroughly tamed and the mouth feel is warm, soft, and cozy. A sweet cherry nose leads to a palate of generous red and dark fruits and a solid acid spine. You will need a cold soak after drinking this one. Whitethorn wines are available primarily in San Francisco Bay Area fine restaurants and retail stores. (www.klwines.com is a good source). Tasha is just warming to computers and a website is in the future. Memorial Day weekend, Whitethorn (and Briceland nearby) will hold an open house where old vintages will be opened of Whitethorn Hirsch Vineyard Pinot Noir back to 1993 and Whitethorn Hyde Vineyard Pinot Noir back to 1992. The winery is about two hours north of the Anderson Valley. The phone number is 707-986-1658. On March 13-15, 2007, the National Women’s Wine Competition was held in Santa Rosa, California with all proceeds of the event going to Women for Winesense. Over 1800 wines were judged, 523 wineries from 31 states participated. 389 wineries medaled and 816 total medals were awarded with California leading the way. All of the judges were women. The conclusions that were drawn were that women loved a wide variety of tastes and styles, but were primarily looking for balance and elegance. For further information: www.nwwc.info. Gold Medal 2005 Beaulieu Vineyards Napa Pinot Noir, 2004 Belle Vallee Grand Cuvee Oregon Pinot Noir, 2004 Ceja Vineyards Carneros Pinot Noir, 2005 Elke Vineyards Anderson Valley Pinot Noir, 2005 Kastania Vineyards Proprietor’s Reserve Sonoma Coast Pinot Noir, and 2005 Leveroni Vineyards Pinot Noir. Double Gold Medal 2001 Richard Grant Wines Wrotham Clone Napa Pinot Noir Sparkling Wine The Wrotham clone was discovered as a wild vine growing in the village of Wrotham in southeast England. The leaf color and appearance were unlike Pinot Noir of France, but the fruit clusters were similar. The vine had developed an immunity to powdery mildew. It is speculated that the Romans brought cuttings of this vine to England. California winemaker Dr. Richard Grant Peterson imported cuttings to California in 1980 and planted 2 acres in the Napa Valley. DNA studies show it is identical to Pinot Noir. There has been no need to spray the vines with sulfur to prevent powdery mildew. The wine is available ($50) on the Richard Grant Wines website (www.richardgrantwine.com). Back in May of 2005 (PinotFile, Volume 4, Issue 37, “Following Your Pinot Dream”) I profiled Jamie Kutch, a Fordham graduate who held a high-profile Wall Street job and gave it all up to move to California and make Pinot Noir. Upon the urgings of Andrew Vingiello (A.P. Vin) and Brian Loring (Loring Wine Company), Jamie sent an e-mail to Michael Browne of Kosta Browne Winery, located in the Russian River Valley at that time, and detailed his dream to make Pinot Noir. Michael’s advice was “Go for your dreams if it is at all possible, otherwise, you might regret it for the rest of your life. A man had once told me that ‘the biggest regrets in life are not things that you did, but the things that you did not do.’ I thought he was a very wise man.” That was all Jamie needed to hear. Michael offered to be his mentor and assist him in making his initial Pinot Noir under his own label. Jamie quit his job, talked his girlfriend into moving west with him, and in a short time was in San Francisco. Jamie’s unusual proposal to his girlfriend (PinotFile, Vol 5, Issue 9, “Love Among the Must”) was only fitting, since wine has played an immortal role in the seducing, loving and marrying of women by men. Fast forward two years and Jamie has now released his inaugural wines: a Pinot Noir from the Russian River Valley and a Rosé from the Sonoma Coast. He is still refining his style, but the initial response to his wines has been very favorable and he has become one of the new young hounds in the Pinot race. 14.1% alc., 125 cases, $15. A saignée of Pinot Noir sur lie aged for l4 months in neutral French oak barrels. Vineyard sources are Kanzler, Umino, John’s, and McDougall. · The wine has a pinkorange color. This is a substantial rosé with plenty of substance and viscosity. Strawberry, lavender, and grassy aromas lead to flavors of strawberries, persimmon and citrus. The finish is tangy and I kept wanting to snap my tongue against the roof of my mouth. Although “rosé” is the French term for “pink,” this is not a feminine wine. It has plenty of pizzazz to accompany hardy foods and should hold out a couple of years. 15% alc., 150 cases, $39. The 2005 growing season was long, dry and mild and just about perfect for Pinot Noir in the Russian River Valley. This wine was sourced from the Amber Ridge and Demeo Vineyards. · Very nice finely-spiced and ripe red fruits in the aromas and flavors. The alcohol adds an appealing sweetness to the overall impression. The finish closes with pleasant fruit, herbs and ample oak. 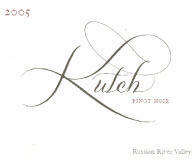 Kutch Wines are sold through a mailing list at www.kutchwines.com. As Jamie acquires more grape sources, production will gradually increase. He is currently honing his winemaking experience at Deerfield Ranch Winery in Sonoma Valley. His phone is 917-270-8180. The Rhine Valley in southwestern Germany is the home to the wine-producing region of Kaiserstuhl/ Baden. Since Roman times, this has been an ideal area for cultivating wine grapes. The soil consists of magma from the depths of the earth and limestone from the former capping rock. The Kaiserstuhl is Germany’s warmest region and has the most hours of sunshine. The area averages about a degree higher in temperature than Burgundy to the south. This is prime growing territory for the Burgunder or Pinot family of grapes: the Blauer Spätburgunder (Pinot Noir), the Weissburgunder (Pinot Blanc), and the Grauburgunder (Pinot Gris). 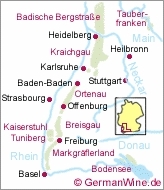 Spätburgunder is also grown in the Ortenau district of Baden, in a separate, smaller wine-growing region of Ahr located along steep hillsides that line the Ahr River as it flows into the Rhine, Franken, Hessische Bergstrasse, Mitteirhein, Nahe, Pfalz, Rheingau, Rheinhassen, Sachsen, and Württemberg. Many of these areas are better known for Riesling. Approximately 2300 acres of the Burgunder family of grapes grow in the Kaiserstuhl region. 23% of the vineyards in Baden are planted to Spätburgunder. With the 2000 vintage, Germany has instituted the designations “Classic” and “Selection.” This change was intended to simplify matters for consumers. Classic wines can be from any of the 13 German winegrowing regions, the wines must be above average in quality, dry in taste, and made from a traditional grape variety, such as Riesling or a Burgunder. The labels bear the Classic logo next to the name of the traditional grape variety. Vineyard names are omitted to leave the labels uncluttered and simple for the consumer. Selection wines are carefully chosen, best of the vintage wines. The vineyards are first-class, yields are low, harvesting is by hand, the wines must be bottle aged, and the wines must be dry for Burgunder varietals. Some terminology in deciphering labels can be helpful. Estate-bottled = gutsavfüllung or erzeugerabfüllung, trocken = dry, and halbtrocken = half-dry (superfluous if wines are Classic and Selection designated as all of them are dry in style). German clonal selections are divided into five groups: compact clones, loose-berried clones, mixed clones, upright-growing clones, and small-berried clones. In Germany, the strength of a clone in resisting botrytis is uppermost in the selection process. The compact clones include the French Dijon clones such as 113, 114, 115, 667, 777, 927, 792, 872, 870, and 386, all of which have some resistance to botrytis. They are usually planted on dry, flat sites. The loose-berried clones are more resistant to botrytis, even in heavy rain years. However, in most years, the quality of the compact clones outweighs the advantage of better botrytis-resistance of the loose-berried clones. This group includes the Mariafeld clones from Wädenswil. The upright-growing clones are used for sparkling wine and Pinot Noir vinified as a white wine. The small-berried clones come from Freiburg and Geisenheim and are well-suited for producing high-value red wines. Due to good botrytis resistance, these clones can be planted in deep and rich soils. Because there is high demand in Germany for these clones, they are in limited supply. The bible on German wines is The Gault Millau WeinGuide Deutschland. It is only published in German and not available in the United States. This is a shame since it offers over 400 of the best producers and nearly 4,000 reviews and ratings for wines. There is only a trickle of information available about German Pinot Noir and very little of the best examples reach the United States. I have had a few here and there, and not been impressed. I have heard people joke, “Isn’t Spätburgunder the stuff the guys from Burgundy spat out?” All of this may change as American’s thirst for Pinot Noir continues to escalate. Bjoern Lanwer, a German expatriot, has recently co-founded Ingenium Wines with his American wife and a partner in Germany. While in college, he met a schoolmate and friend whose father was a government official in the Kaiserstuhl region, and he has been able to utilize his business degree and this contact to import German Pinot Noir to America. Headquartered in Alabama, he plans to focus on good, rather than entry-level Spätburgunder. Only recently arriving in the United States, he was surprised to find how “big” Pinot Noir was here, and how interested Americans are in German wines. He sent me three Oberbergen Pinot Noirs and one Pinot Gris to sample. The other importer I contacted was Truly Fine Wines Inc. in San Diego, California. They also import limited production German wines inluding Rieslings, Pinot Noirs, and rare dessert wines. I also sampled four of the Spätburgunders they are featuring. WG Oberbergen was founded in 1924 and is named after the village in which it is located. Oberbergen is a few miles east of Burkheim in the Kaiserstuhl region. 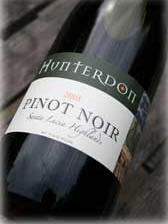 It has produced Pinot Noir for over 60 years. Oberbergen wines are served in top hotels throughout Germany. I could not obtain many specifics regarding the vineyards and winemaking. The Oberbergen Pinot Noir vines grow on the steepest hillsides of the Kaiserstuhl. The main clone is FR-5286 which is a compact clone. German oak is used for aging. For the Estate Pinot Noir, “a quick fermentation is performed in which the must is heated for a short time, then cooled and pressed.” For the Select and Reserve Pinot Noirs, “a cold maceration is carried out in closed, temperature controlled tanks and the fermentation days.” The wines are aged 4 to 6 months in oak barrels (little or no aging for the Estate). 13.0% alc., $24 · A small step up in color. The aromatic profile is similar with n added touch of alcohol. A soft and simple drink, with demure strawberry and oak flavors and a finish with herbal highlights. 12.5% alc., $32 · Darker still in color, this wine has similar aromatics, but there is a richer mouth feel with more intense fruit, noticeable oak and a trace of tannin. Less strawberry and more earth and sauvage. The finish is a tad shallow and not as pleasing as the Estate. 12.0% alc., $19. · This wine is very Alsatian in style with interesting butterscotch aromas, midpalate fruit richness and viscosity, and bright acid at the end. There is a trace of fuel oil in the finish, typical of many Alsatian interpretations of this varietal. Perfectly fine. The Pinot Noirs are rather simple but they are well made with no flaws, soft textures, and a good acid backbone. The flavors vere toward the red end of the spectrum. They are comparable to many California Pinot Noirs in the under $20 category, but do not have enough fruit for many West Coast palates. Ingenium Wines, www.ingeniumwines.com, 256-883-2011. 14.5% alc., trocken, $24. The Gutzler estate is a boutique producer in Rheinhessen. · This is a very California-styled Pinot Noir. The nose is rich with ripe stone fruits and a hint of alcohol. The dark red fruits are mouth-coating and the wine has a creamy texture. The flavor profile is rather simple, but this is a decent drink. The best wine in the Truly Fine Wine lineup. 13.5% alc., trocken, $23. Hans Lang has been making Pinot Noir for over 20 years. He is a pioneer of aging in barrique barrels. The grapes are from Rheingau. · This Pinot Noir has a respectable nose of cherries and cranberries. It is a very light and soft style with bitter wood flavors that persist in the finish. 13.5% alc., trocken, $25. · The flavors trump the nose here. Aromas of fermenting berries, citrus and grass lead to very light but attractive strawberry and blackberry flavors with prominent herbal overtones. The texture is smooth and the ending quite soft. The grassiness in the nose is reminiscent of Sauvignon Blanc. 12.0% alc., halbtrocken, $20. · The unusual aromatics feature port-like ripe fruits and green leaves. Light in weight, the wine is simple with sweet berries in abundance, a touch of sweetness in the finish, and a little grassiness as well. 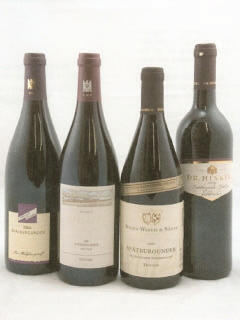 Truly Fine Wine, Inc. imports a wide variety of German wines. The website is www.trulyfinewine.com. These are wines for the adventurous who seeks variety. They are really better table wines than stand-up wines. A total of 276 Pinot Noirs were entered in this year’s Pinot Noir Shootout sponsored by Affairs of the Vine. A judging panel of 41 professionals sampled Pinot Noirs from all over the world to determine 40 finalists which were presented to 300 consumers at the Pinot Noir Summit held in San Francisco on Feb 10, 2007. The preliminary judging prior to the Summit is unique in that considerable time is spent judging each wine and judges only rate 32 wines a day. This year a new twist was added, with wines being rated with and without food. The top 40 wines ranged in price from $12 to $75. The male and female judges were in general agreement with the above choices. However, among the consumers who attended the Summit, the women preferred the 2004 Sonnet Tondre’s Grapefield Santa Lucia Highlands Pinot Noir ($40), while the men preferred the 2005 Sojourn Sangiacomo Vineyard Sonoma Coast Pinot Noir. Peruse the website, www.affairsofthevine.com, for the full results of the competition. Reasonably high scoring Pinot Noirs priced inexpensively are listed in the “Bang for Your Buck” section.